« Avoid These 9 Supermarket Tricks That Are Designed to Make You Spend MORE! I've been on a mission for years to get in amazing shape and sculpt my body into one smokin' mama. My fitness level is pretty good, but I can never seem to find a program that delivers results CONTINUALLY, no matter how dedicated I may be. Around 4-6 weeks, it always seems that I either get completely bored with the program I'm on or that I plateau and the exercises just don't seem to work that well anymore. I've decided that this time, I want to "go hard or go home" and I will do whatever it takes to get a rock-hard physique that anyone would be proud to have. That's what led me to discover Ultimate Sandbag Training. This program is extremely unique and offers many advantages over using a traditional set of dumbbells or weights. It's also completely adjustable and grows right along with your increasing level of fitness. Keep reading to learn more about one of the hottest new at-home exercise programs! 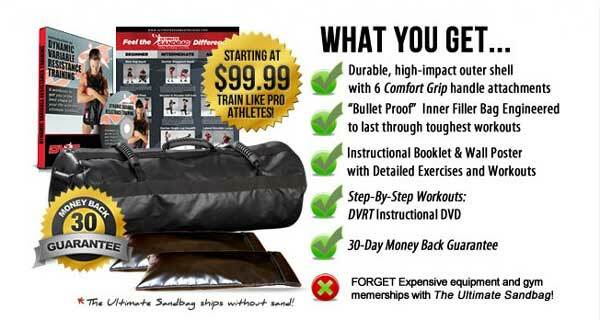 I reviewed the Ultimate Sandbag Training: Power Package from Henkin Fitness Systems which retails for $108.99, but is currently on sale for $99.99 with a 30-day money back guarantee. If you're like me, you've tried any and every fitness video under the sun and probably have concluded that a lot of workout programs are very similar...and you'd be right. I've completed hundreds of workout videos over the course of my life and rarely do I see something new. I'm a big fan of kettlebell exercises for they tend to work every muscle in your body at once, thus making your workouts very effective and very efficient. The only problem is that you are still using a static weight, like a dumbbell, to complete your exercises. Ultimate Sandbag Training is unlike anything I've seen so far because it uses dynamic variable resistance in every exercise. This challenges the whole body in a new way. The sand (or rice) inside your Ultimate Sandbag can be filled to your exact specifications and constantly shifts around as you move. This shifting motion challenges your muscles more effectively and really works out your core like nothing I've ever experienced before. Also, because the Ultimate Sandbag Training is such an efficient program, real results can be seen anywhere from just three to four days a week. You can follow the 6 workouts in the Dynamic Variable Resistance Training DVD (included) or create your own program by following some of the exercises and workouts enclosed in the manual or on the poster that comes with the Power Package. First, you'll need to set up your sandbag, which comes in two different parts: the Dynamic Variable Resistance Trainer (DVRT) training shell and the filler bags. The filler bags are easy-to-change weight inserts that actually hold the weight of your DVRT. The DVRT is not designed to be the sandbag itself, but rather an easy and clean changing loading bag for the progressively changing filler bags. 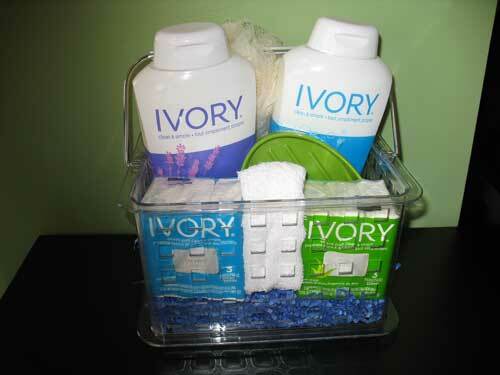 Two different substances can be used in the filler bags depending upon your goal. If you're like me and are just beginning this program, it is recommended that rice be used. It's a lighter implement which will allow you to perform a wider variety of exercises and progressions. After about 4-6 weeks of training, you can either keep with the rice or move on to dry play sand, which will provide you the best combination of weight and movement. Power Package - Ideally for beginning women and young athletes, rotational based exercises and conditioning. Strength - Recommended starting size for men, highest blend of conditioning and strength training. Burly - The largest and heaviest of the DVRTs: Made to replicate Strongman type of lifts as well as heavy barbell lifts such as squats, cleans and presses. At lighter weights, the Burly DVRT gives the most amount of instability and weight. There were so many challenging and unique full-body exercises offered by this program, that I couldn't wait to start. After just the first workout, I was sore from head to toe, guaranteeing that my body was indeed being molded in the way that I hoped. I'm also psyched at just how easy it is to burn fat from doing this workout 3- 4 times per week. Did you know that many of the recent workouts posted on the Sandbag Fitness YouTube channel burn an average of 16 to over 19 calories a minute? :star: To put that in perspective, a 30-minute Ultimate Sandbag Training session would burn approximately 540 calories. Now that's one way to make the fat literally bounce off your body! If you've been looking for a unique, challenging and progressive workout regimen which will whip your body into the best shape ever, then by all means, give the Ultimate Sandbag Training system a try! Also, be sure to like them on Facebook for all of the latest news and promotions. Disclosure: I received the Ultimate Sandbag Training: Power Package from Henkin Fitness Systems in order to facilitate my review. No other compensation was received. This product review is based on my own personal experiences with this item and is completely honest and objective. Thank you for this info. I’ve never heard of this product before. It looks very effective and maybe even older kids can participate in something like this especially if they play sports. Thanks so much for stopping by today and giving my review a read. Yes, I definitely think this program would be beneficial to kids playing sports, for it’s helped a lot with my flexibility and overall strength already.